I have always enjoyed watching this drama TV series about medical interns. It was so popular back in the mid 2000's and I was really hooked into it. First came McDreamy and then McDog and then came McSteamy. :D And it is being run here on TNT series and because the husband enjoys watching, I find myself watching it too. There are some scenes that I have already forgotten and it was kind of nice to watch them again. 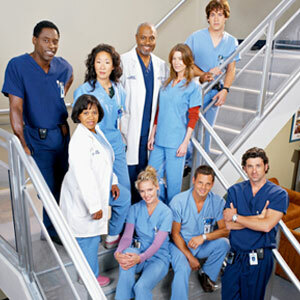 Original cast of Grey's Anatomy. I loved how each character developed, how they cope with the very busy world of being interns and how they resolve their personal conflicts. I laughed and cried and have gone through a roller coaster and whilrwind of emotions with Meredith, Issy, George, Alex and Christina. I love it most when they don their sky blue scrubs... Everytime they are in their scrubs, they are really serious at giving it their best. And who could ever forget Dr. Burke's personalized scrub hats? I am not a medical person but they really do justice to their roles. And even though the medical cases are almost out of this world, you couldn't help but think of all the what ifs. Now it is running on its 10th season.. Gosh, I have a lot of catching up to do! 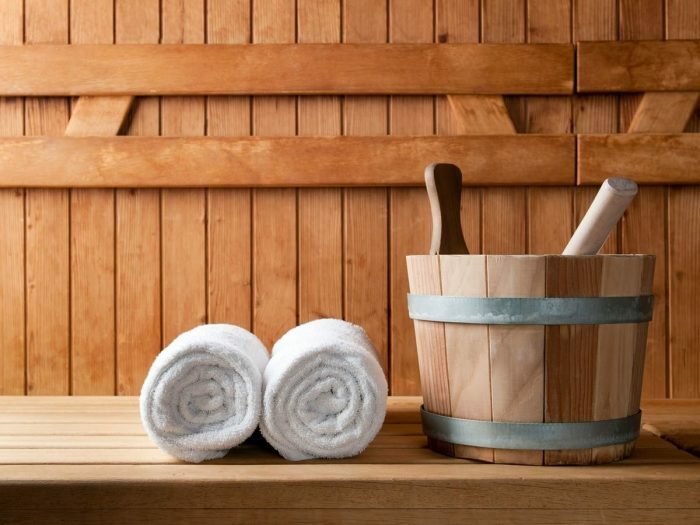 Do you love going to the sauna or steam baths? I for one am fond of them. After a good workout at the gym, I try to hit the sauna as much as I can... It is just the perfect thing to do to loosen up those tense muscles and to end the day. I also visit the steam baths whenever we go swimming at the indoor pool in Ludwigsburg Stadion Bad. These hot baths offer a lot of health benefits. Here are some of the popular hot baths, how hot they can be and the health benefits it brings. SAUNA. Gives your skin a rosy glow. Imagine desert climate. In the dry air temperatures rule between 60 and 95 degrees Celcius. 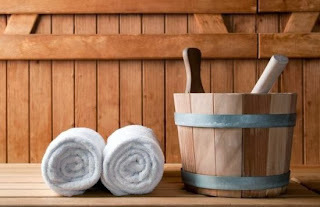 During the first of maximum three entries (8 minutes) into the sauna, lay on the lower or middle bench (favorable for an even temperature distribution). Sit up two minutes before the end of each entry to help regulate blood circulation. Then go out to cool down. Allow 20 minutes in between entries to relax and cool down. What it brings: Blood circulation increases, and skin metabolism works twice as fast as otherwise. The result: the skin on your entire body becomes firm and rosy. Moderate temperature of 45 degrees. But the very high air humidity/moisture of almost 100% heats it up. Highly recommended for those experiencing dry mucous membranes. After 10 to 15 minutes of sitting on the marble bench in a steam bath is the skin moist-warm and firm. Then go out and take a shower and into a cold pool. Bundle up warm to allow sweating, then go inside again. What it brings: The moist warmth deeply penetrating into the tissue ensures better blood circulation in the musculature, joints and organs. Ideal for all who suffer lumbago and rheumatism. Because the steam penetrates deeply into the bronchial tubes and lungs, the steam bath also helps prevent colds and flu. This is a circulation sparing sauna alternative with a temperature of up to 60 degrees and a humidity of 45%, pleasant and bearable even for people with hypertension. Duration: about 20 minutes. What it brings: High comfort and well-being, ideal for sauna beginners. Relax like the Romans of ancient times, with the pleasant warmth of 55 degrees emanating from the walls, floors, seats and resting surfaces slowly enters the body. After 15 minutes, the body begins to sweat. What it brings: Stress reduction. Through detoxification, the skin feels soft and nourished. The highlight of a Turkish steam bath: one lies on a large, warm marble block and the Tellak (an oriental bath attendant) lathers and kneads the tired body and at the end, souse him with warm water. What it brings: Through the lathering and scrubbing with brush and towels results an intensive peeling effect, removing all impurities from the skin. Tensed muscles loosen up. In a room of 40 degrees and low humidity, each body area is applied with various healing clay, which is rubbed gently onto the skin in a circular manner. Herbal steam opens the pores. Duration: around 20 minutes. Afterwards, the residue is washed and dried off with a hand towel for that peeling effect. What it brings: The connective tissues are tightened, the skin purified and detoxified. There's this old English adage that says, "An apple a day keeps the doctor away." This is indeed TRUE and even scientists know this. The soluble fiber in apples helps reduce intestinal disorders. 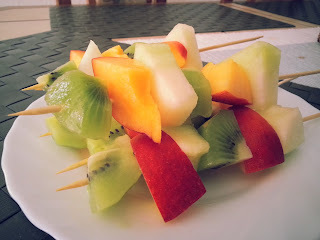 The pectin helps reduce cholesterol levels. 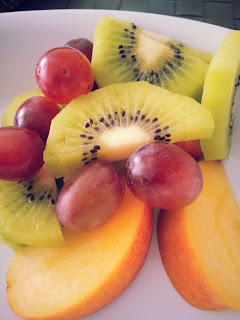 It's packed with Vitamin C, A and flavonoids and is a source of potassium that helps promote heart health. 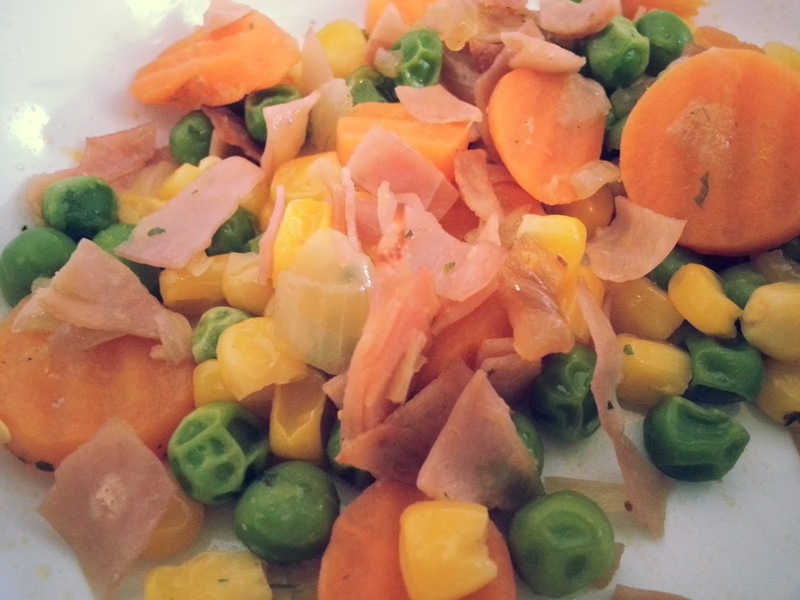 It can help reduce skin diseases and helps in weight management. Not only this! 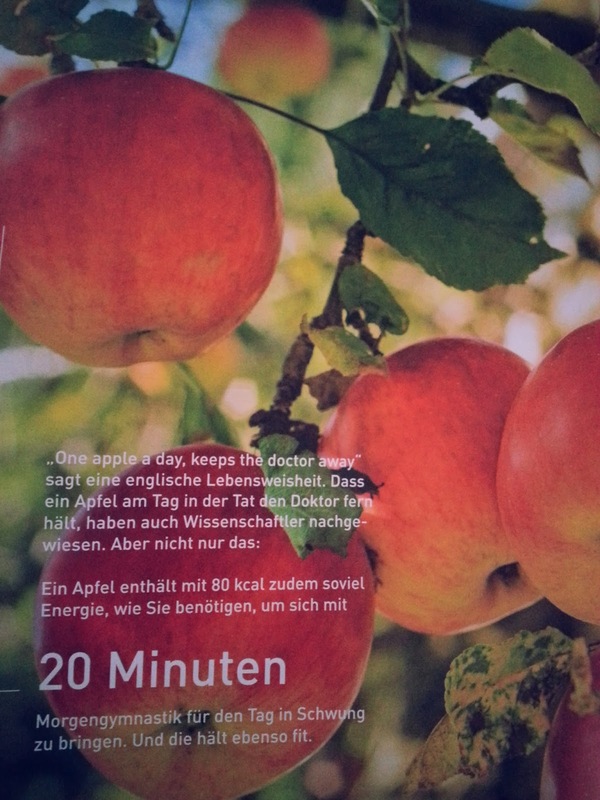 An apple contains 80 kcal of energy, enough energy for you to do a 20-minute exercise in the morning to jump start your day. It helps to keep you fit! On most days, we dream about summer evenings with family and friends, chilling or having a grill party in the garden, terrace or balcony. 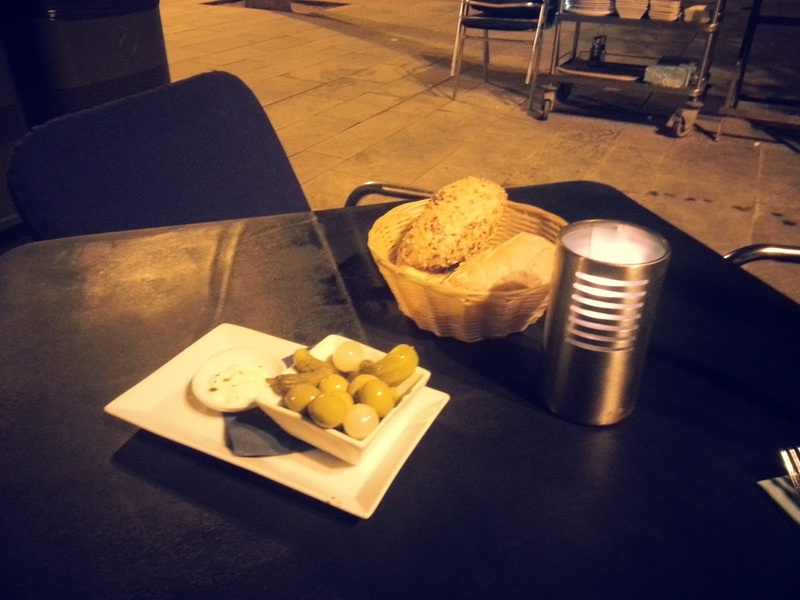 There is just something in the open air that is relaxing and very conducive for open talk. Wouldn't it be nice to have an outdoor extension of your living room? 1. How big is your outdoor space? Is it as big as a sprawling garden or small like a snug balcony? It is essential to choose garden furniture that will complement the size of your ourdoor space. You also need to consider the number of people who will be using it and for which purpose. Would you like it to be multi-functional, to be used both by kids and adults alike? An extendable rectangular table will be perfect for parties where you expect a large number of guests. Storage benches are perfect for storing cushions, blankets and kids toys. Metal garden furniture with a parasol is perfect for your garden. 2. What type of material would you like your outdoor furniture to be? Whether wood, metal or woven, each type of material is unique in itself and will require some level of maintenance. Wood is probably the most loved material when it comes to furniture because it lends warmth and it ages beautifully. One must however treat wooden furniture with care to prevent it from drying out and rotting. Re-glazing and sanding your wooden furniture may be required every now and then. Metal is robust and can stand any weather condition. It is durable, rust-free and requires low maintenance. So if you want furniture that can stand the bitter cold of winter and the scorching heat of summer, then metal furniture would be a good choice. And because it can be bent and shaped, there are many possible designs to choose from: from contemporary to Victorian, from elegant to sleek lines. Woven material is perfect for gardens because it blends almost perfectly with shrubbery and plants. Depending on the material, the type of maintenance needed also varies. Woven furniture from resin material usually require lesser maintenance as they are easier to clean while woven furniture from rattan or natural fibres may require some treatment every now and again. Regardless of the material, they are perfect for outdoor use and can stand any weather condition. 3. Breath life into your outdoor space. Customize it by adding a few personal touches. Lighting will always add to the ambience that you want to create. Parasols will help to protect you from the sun's harmful rays. A gazebo is perfect for BBQ parties and can offer protection from those summer showers or provide privacy for an utter relaxation. Adding some cushions into your garden furniture will bring the comfort of the indoors out. You can also add some decking to section off an area for lounging or to just up the look of your balcony. So there you have it! And who says you can't have an outdoor party in these wet and gloomy autumn days? With the right garden furniture and additional personal touches, you still can enjoy your outdoor space the whole year round. If you have a carpet at home, be it oriental, synthetic fibre, or wool, chances are it will get dirty and stained on with the passing of time, especially if you have kids running about. Sometimes, it is easier to just replace them when they are too worn out and dirty. Sometimes, it is also a good idea to have them cleaned by professionals to restore it to its early glory especially if the carpet is very expensive. But you can save your valuable carpet too by cleaning it yourself. Most home cleaning products can be used: baking soda, detergent, wine vinegar, hot water, ammonia. You steam iron and vacuum cleaner and lots of dish towels will help to clean and wipe off these stains too. My little helper... she loves to vacuum the carpet. It's pretty simple really. First clean your carpet to remove dust and other easily removable dirt with your vacuum cleaner. Then spray on a mixture of 1 part ammonia and 1 part hot water unto the stained area. Lay a dishtowel unto the sprayed area and iron away. You'll find that the stain is transfered on to towel. Repeat a few times if the stain is still there. You can also use non-bleach detergent or wine vinegar mixed in water to remove water-soluble stains such as juice, cola, ice cream or latex paint. Of course it is always a good idea to blot the stained spot while it is still fresh so you don't run the risk of letting the spill soak through to the carpet pad. Dry the carpet from the outside in. Never ever scrub the carpet, otherwise you risk ruining the carpet fibers. When all else fails, you can always call the professionals. Choose the ones that use eco-friendly products and techniques, like Green Choice Carpet Cleaning. That way you are able to help mother Earth. 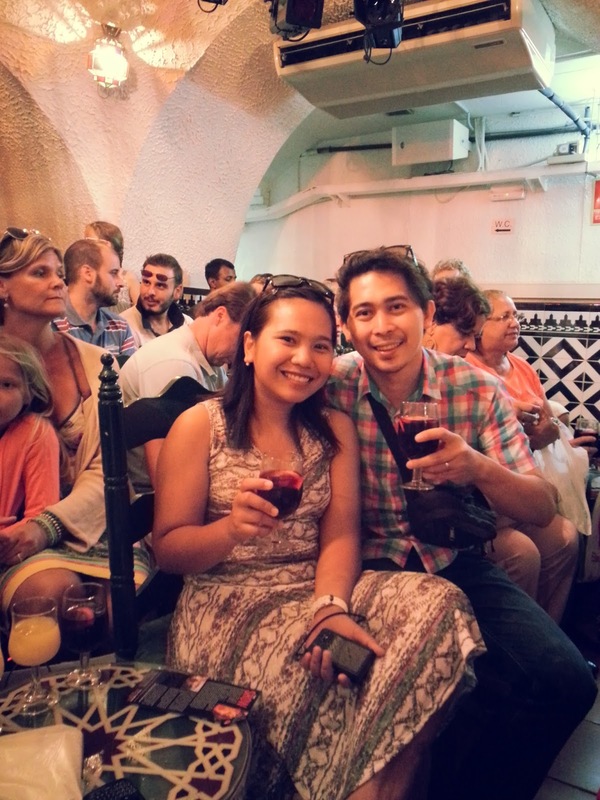 After the captivating Flamenco show, we decided to go for a walk near the beach area. I was still a bit giddy from the cava (Spanish sparkling wine) that we had while watching the dance and the walk helped evaporate the alcohol so to speak. 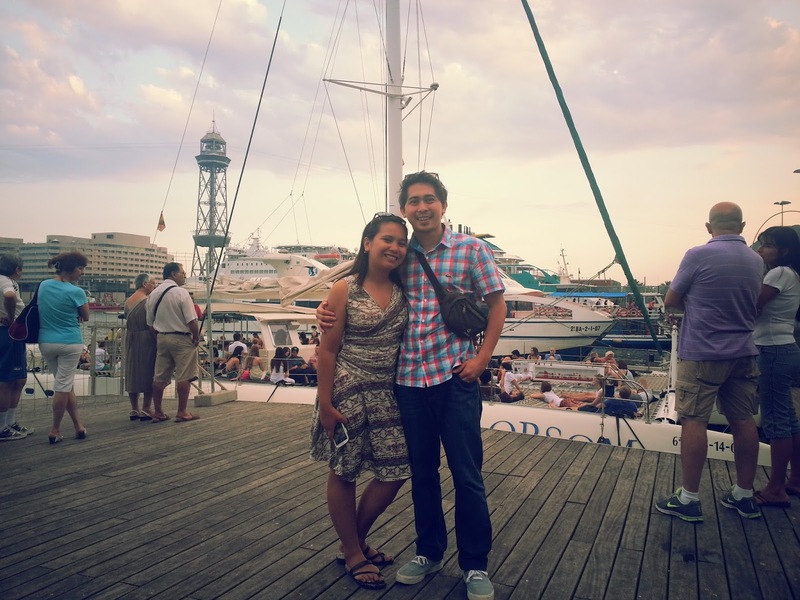 At the pedestrian bridge in Port Vell, Barcelona. Hubby and I found ourselves walking towards the Port Vell and then on to Barceloneta beach. It was a Friday evening so it was teeming locals and tourists alike. The port reminded me of dear Yokohama, filled with yachts, shops and restaurants. We did a little sightseeing and a little shopping until our feet got tired and our bellies began to grumble from hunger. 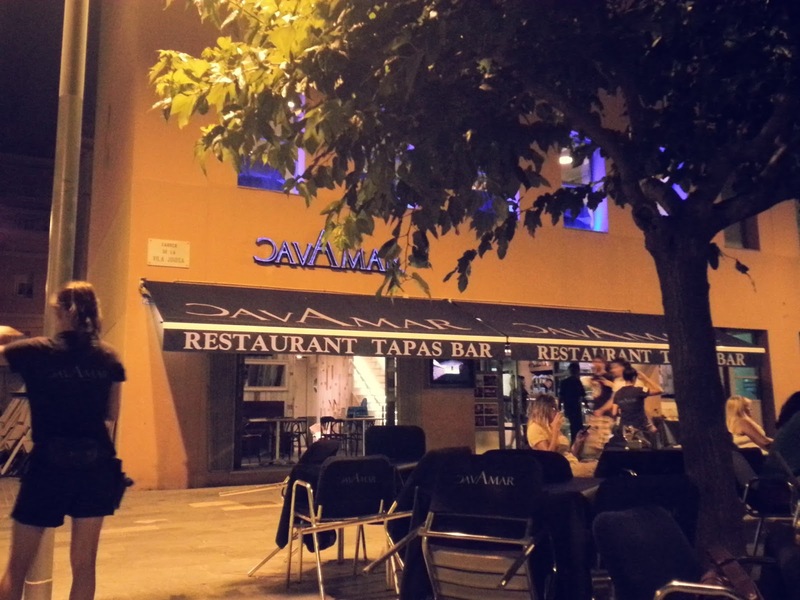 CavaMar Restaurant and Tapas Bar is located along Barceloneta Beach. There was a vast selection of restaurants on the beach front and since we didn't make any reservations for dinner, we decided on CavaMar, a restaurant and tapas bar that we found along Barceloneta Beach. It was a bit full but we were lucky to have found a table. 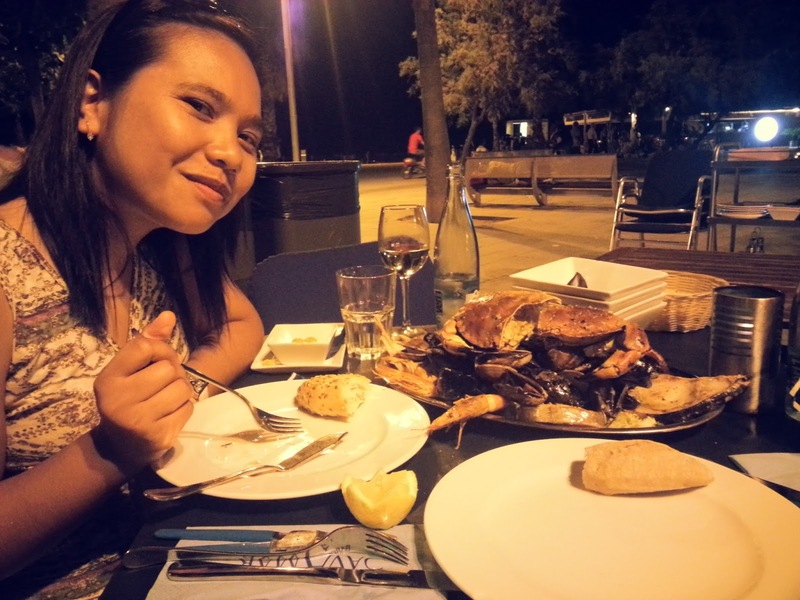 We ordered a bottle of white wine and a platter of seafoods. While waiting for our food, we were served a small basket of bread and some olives to munch on. It must have been the wine but I found myself very light and happy. I was very talkative too and must have blabbed on and on about my thesis topic to my husband who found it sweet, endearing and funny to witness the state that I am in. Hehe! I guess it has also been a while since Hubby and I really went out on a date without having to rush with our food while looking out for the little one so it was a very refreshing experience for us. 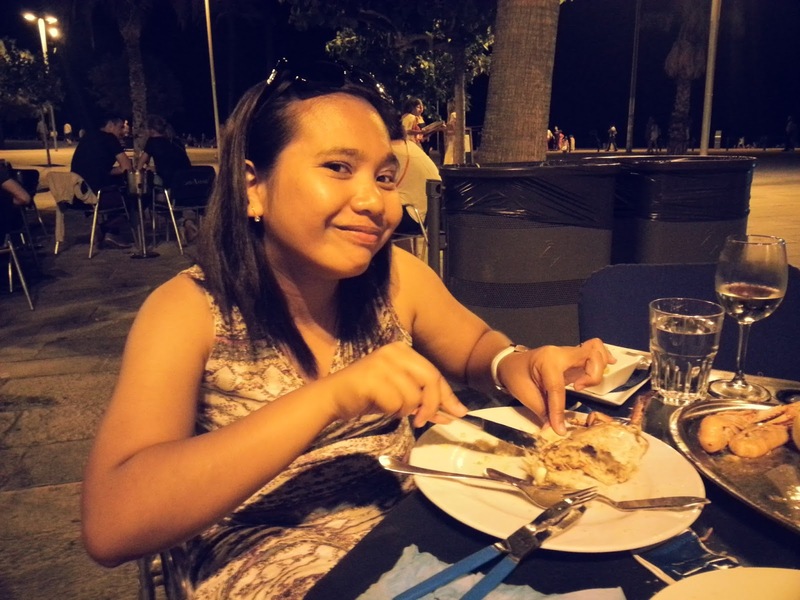 The atmosphere at the restaurant was a mixture of subdued and lively conversations, and the cool evening breeze from the beach added to the ambience. 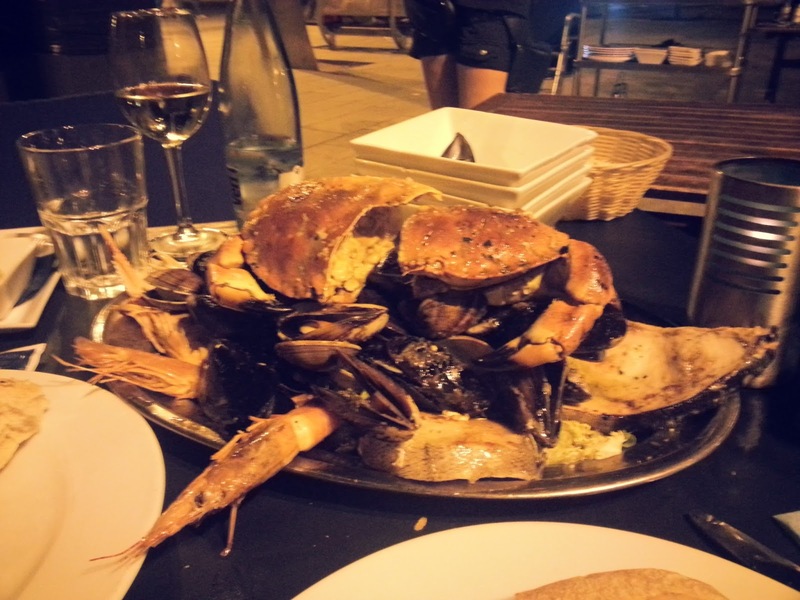 We didn't expect our platter of seafood to be very huge! It made a lot of sense why hubby ordered just one dish. :) It consisted of a large crab, different kinds of shells, big shrimps, and fish steaks. It was lightly spiced and seasoned just the way I want and I ate to my heart's content. I had to eat most of the crab since hubby was allergic so that I was so full and very light headed by the time we finished dinner. We then walked a bit more along the beach before heading back to our hotel. Then go to the next party you are invited to wearing a sleek sterling silver cuff. Or liven up your everyday outfit with a cuff. I am sure your office mates can't help but notice this chic addition to your wardrobe. Cuffs can instantly punch up any kind of outfit, no matter how simple it may be. ridged rows and a hinged closure. Cuffs come in different designs: from bold to sleek to ridged. They may be of leather, silver, metal or gold. They can be worn either on the wrist or on the arm. You can use two matching cuffs like Wonder Woman or Daenerys Targaryen does or use it to adorn just one arm as most Hollywood celebrities are wont to do. Although cuffs are not everybody's favorite kind of accessory, they definitely go well with evening wear. 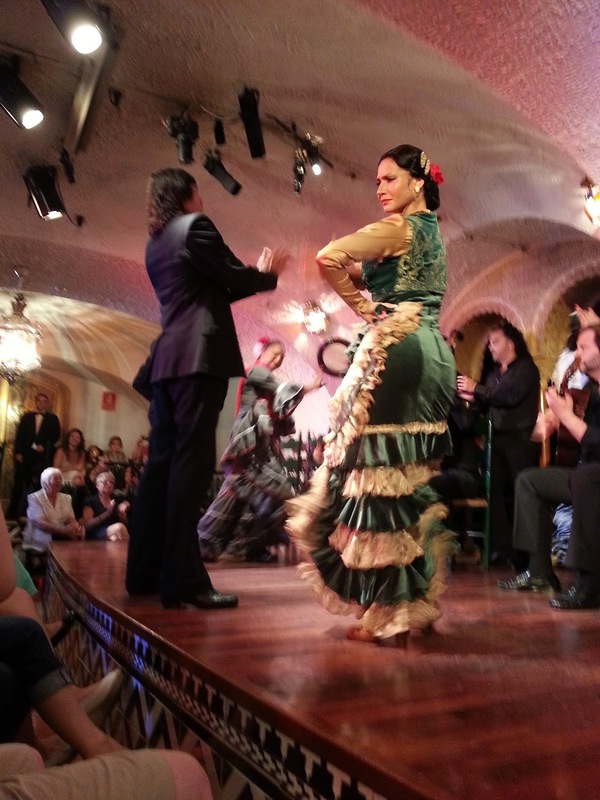 If you are visiting Barcelona or any city in Spain for that matter, one of the best cultural experiences is watching a flamenco performance. 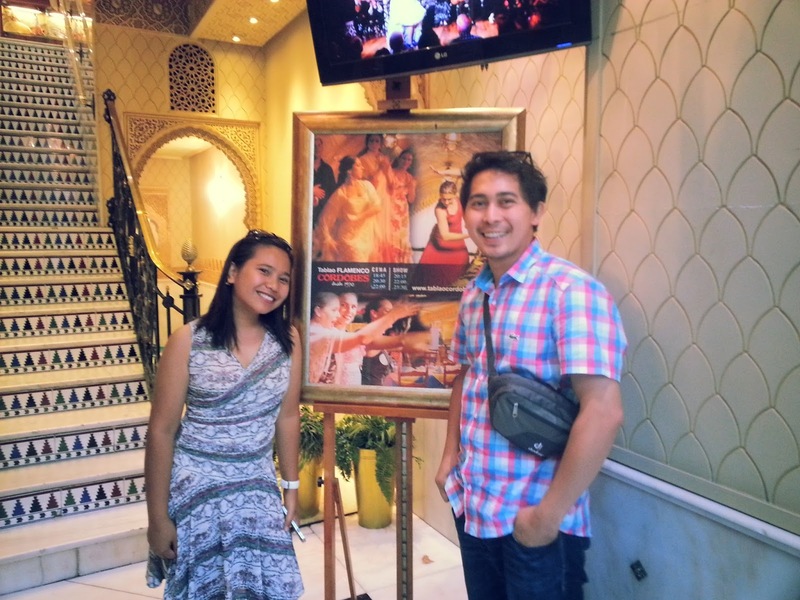 So on our recent visit to Barcelona, we went to go see one on our first night. 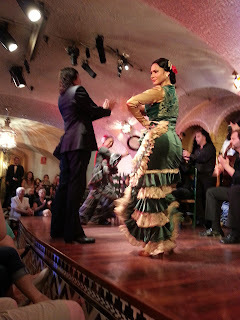 It was at the Tablao Flamenco Cordobes, located in La Rabla one of the the busiest parts of the city. 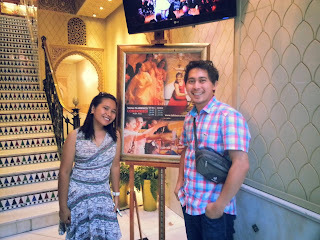 And it was indeed a very memorable experience! I booked days ahead for this performance so we can get a good seat. 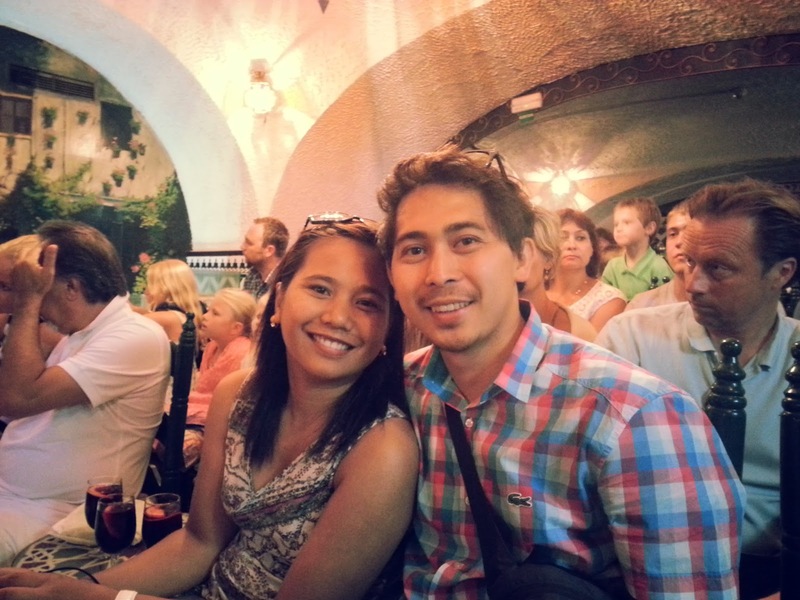 We chose the Afternoon Show for 5:45 PM so we still have time to explore the city later. 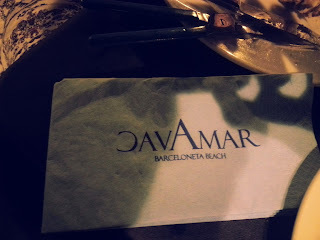 :D We were all given a glass of cava so we can enjoy the show whilst drinking. 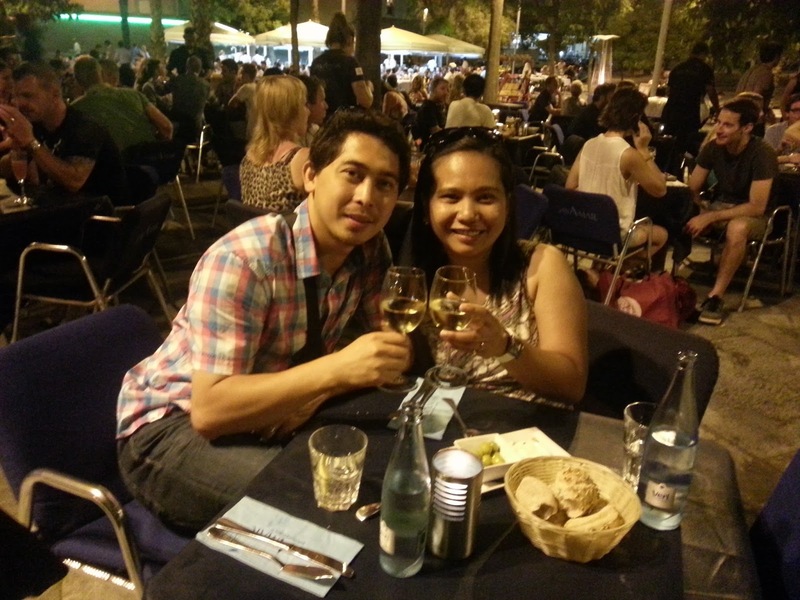 A date with my husband in Barcelona. As the lights dim and the noise settled down inside the Tablao, I can't help but feel the excitement and awe growing in the audience. The music, the rhythm of the dancing shoes and hands, the clinking of the castanets and the beautiful voice and graceful dancers all mix together to create a very vibrant and mesmerizing performance. Although I do not understand the lyrics in the songs, you can feel the intensity of the emotions of the dancers as they interpret the music and the story. 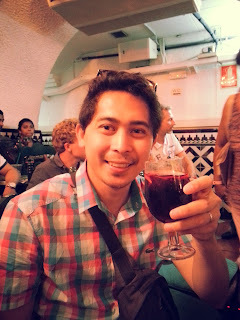 For me, it was a very passionate, intense and mesmerizing... indeed a beautiful experience of Barcelona. We weren't allowed to take photos and videos during the performace except for the last five minutes so we only had a few photos taken. I guess it is in itself a good thing so you get to really enjoy the show instead of being preoccupied with your camera to get that good shot. 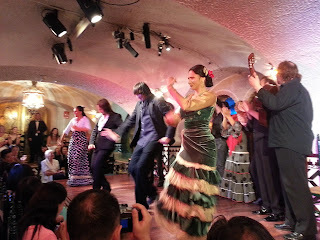 After a little over an hour, we left Tablao Flamenco Cordobes very happy and filled with excitement on the coming days. I have a feeling that the city of Barcelona has a lot more beautiful and exciting things to offer. We have just been to one. 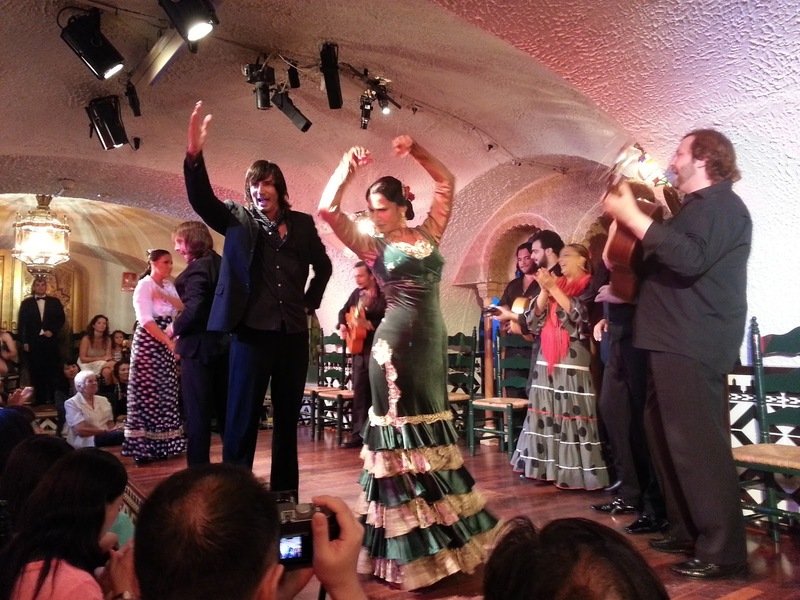 Interested in watching a flamenco performance while in Barcelona? You can find more information on the Tablao Flamenco Cordobes website at www.tablaocordobes.com. The days are getting colder and we can feel it in the chill of the crisp morning breeze. Soon the leaves will turn red, orange and gold, the trees will soon shed their leaves but autumn is still a good way to become green. 1. Buy green. Choose products that are environment friendly. If you have a home office, opt to buy eco-friendly office supplies. Although you may have heard it a thousand times, always recycle! What do you do with those tons of paper that's been printed on one side? You can use the other side for just about anything: notes, as sketch paper for your little ones to draw on, to print your drafts on. Once both sides are used up, you can collect them again to be sent to recycling facilities. 2. Keep the bills down this cold season. Instead of turning up the heat, grab a sweater. Improve your knitting or crocheting skills by making a throw. If there's no one in the house, then by all means turn off your heater. Or better yet, get a programmable thermostat so you're only heating the house when everybody is at home. 3. Walk! The cold is always a good excuse to get into the car to make a trip to the groceries but try to minimize this one. Walking is a healthy routine that you should not miss except on days when the roads are really dangerous to thread on. The cool crisp air and the foliage is something to be enjoyed while they last. Pumpkins of different shapes, sizes and color for your Halloween decor. 4. With the fall season comes Halloween. 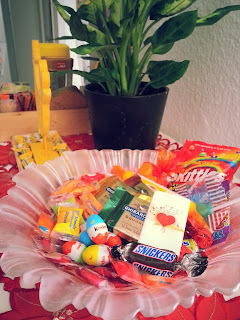 If you are decorating your home for the halloween, opt for the natural and non-commercial. Buy locally grown pumpkins to be used as gourds and jack-o-lanterns. Use recycled paper to decorate your windows. Be creative and you will have a nicely decorated home with no extra spending. 5. What to do with all those fallen leaves? Collect them and compost them. Once the spring season comes, you will have your own organic fertilizer to enrich your garden soil. You can also use the leaves as fuel if you have a fireplace. These leaves make good decorations too!